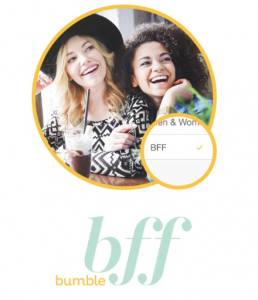 Bumble, the mobile dating app that lets women take the lead to find a date, has expanded their services to help you find new friends. 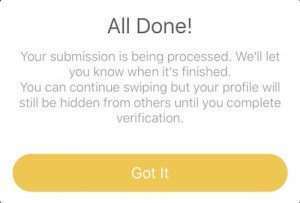 It’s a clear way to keep you attached to the app if you’re in a relationship, but are looking for new friends to hang out with, or are just taking a break from dating. It’s safe to say, this expands their services to be truly called a social networking app. 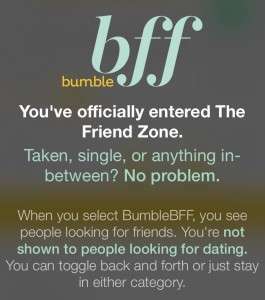 With their new feature, you can flip back-and-forth from seeking a date, to the BFF mode if you’d like to be in the friend zone. 1. Open the Bumble App or search for it in the iTunes store. 2. Click on the update to get the new features. 3. 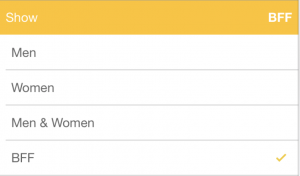 Go into your settings, where you can search for men, women, men and women, or BFF. 5. 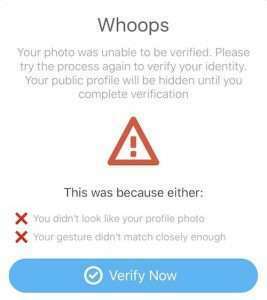 Remember you cannot look for dates and BFF’s at the same time, as you’ll only be able to search people looking for friends with the BFF feature, not those who are looking for dating. 6. If you’re really looking for a BFF, make sure you set your push notifications to the position. Plus, like Tinder, Bumble has just added the Giphy feature to this new update. 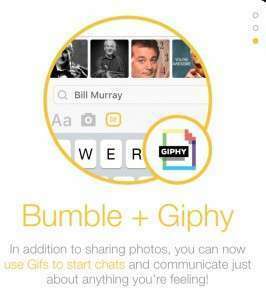 This allows you to send fun and flirty GIFS to other Bumbler’s. At the end of the digital day, we know that relationships can come and go, but having a BFF can help you weather all of your relationship stages. Remember, this feature was just announced, so you might not be flooded with new friends just yet, but if you find yourself burned out one day and want to take a break from swiping on potential dates, maybe your plus one can be a new friend to hang out with. In a recent interview on ABC News in Why Women Like Bumble, I discussed how Bumble works. 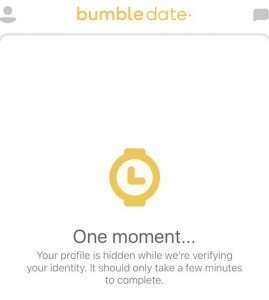 Will you use Bumble to find new friends instead of filling your date card? Julie Spira is America’s Top Online Dating and Mobile Dating Expert. She’s the CEO of Cyber-Dating Expert and has been coaching singles on finding love online and on their mobile phones for over 20 years. Find out how Irresistible Profiles and Swiping Right can help you find your dream date and sign up for our Free Weekly Flirt newsletter. Just released! Our newly revised edition of our bestseller, The Perils of Cyber-Dating: Confessions of a Hopeful Romantic Looking for Love Online, with bonus audio dating advice and a magical epilogue with a fairy tale ending to help you believe in love.